Unlock the full potential of DSLR and mirrorless cameras. 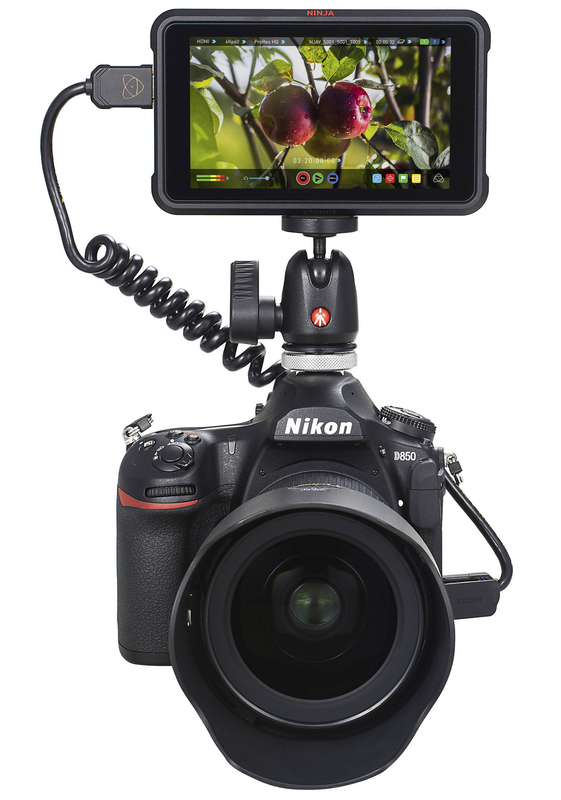 The Ninja V is the ultimate weapon for video capture from your DSLR or mirrorless camera. It's also an ideal stand-alone system for gaming setups. 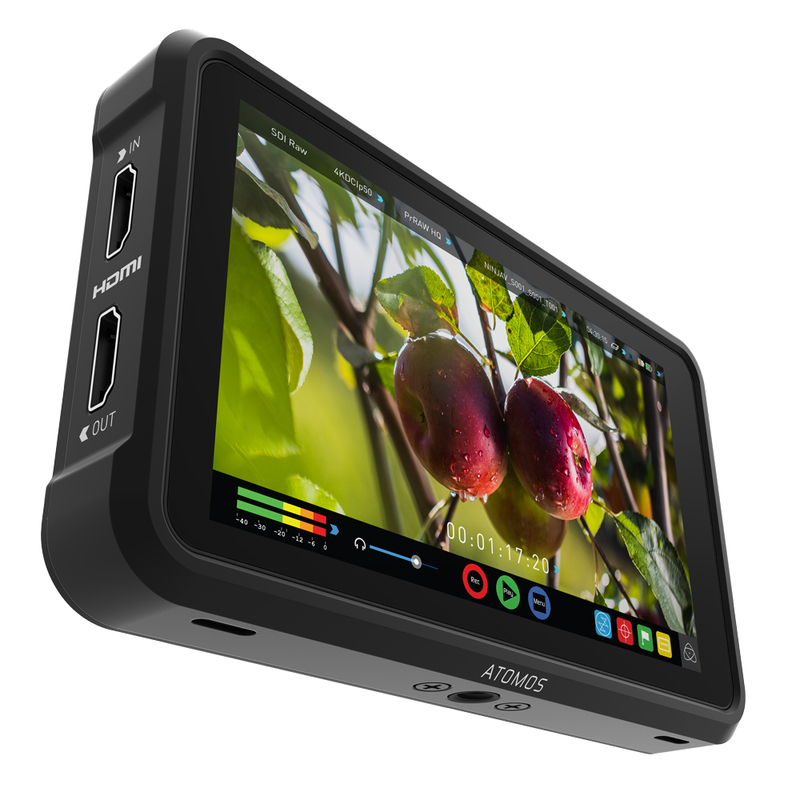 http://www.atomos.com/ninjav Eliminate your camera’s internal compression and time limits – record up to 4Kp60 10-bit HDR video direct from your camera's sensor over HDMI 2.0. Teamed with a 1TB AtomX SSDmini you can now achieve up to 150 minutes of 4K recording on a single drive! And when you’re done, your edit-ready ProRes and DNxHR recordings are stored on affordable SSD drives. The Ninja V displays 10+ stops of dynamic range in realtime from Log/ PQ/HLG signals and features a stunningly bright 5.2” 10-bit HDR monitor with an astounding 1000 nits of output. It has a sleek aluminium body is crafted for maximum durability, weighing in at just 360g and measuring only 25mm thick. Ninja V enables audio input directly from your camera. Choose from digital source via HDMI, or analogue input via the stereo 3.5mm line/mic socket, depending on your rig. The Ninja V is a stand-alone system for 4k UHD, HDR and high frame rate capture that eliminates expensive, complicated and unreliable PC setups. The AtomX SSDmini drives that have been develop with our disk partners are only 7mm high and 80mm long. They retain the same SATA III connector as traditional SSDs and they are backward compatible with our range of Ninja, Shogun and Sumo devices. The Ninja V features an in-built modular expansion slot that can enable bi-directional high speed video, audio and power functionality. AtomXpand modules dock onto the battery slot of the unit and will offer advanced features long into the future. 2 discos SSDMINI de 500GB, lector de tarjetas y cableado. Con pantalla de 5" y brillo de 1000nits. y cámaras de vídeo compactas.